My last post was a reader survey, because I wanted to know what kinds of specific things you wanted to hear from me, so I can serve you better! Several of you mentioned that you needed help with your branding, so today I'm tackling how to figure out what you need in your business branding! So as a designer, I know how hard it can be to get workable information from a client, because people usually just don't know what to say or how to explain what they want. It can makes things tough for designers, if we don't really know what kinds of questions to ask. The problem is that designers tend to think visually. So when I ask a question, I may be picturing the end result in my head already, or something like it, but you probably aren't. Client: You mean, between regular or cursive? People who aren't designers don't think the way a designer does. You sometimes don't even know what you want until you see it, right? Or maybe you don't know the terminology so, you can have a hard time following along with what the designer is saying, or even just explaining what you are looking for. Which means I have to figure it out before you do, essentially, by asking those guided questions & going through that Pinterest board to look for patterns (font choices, colors, pattern styles, etc. that I see more than once, and more). This was such a fun project! 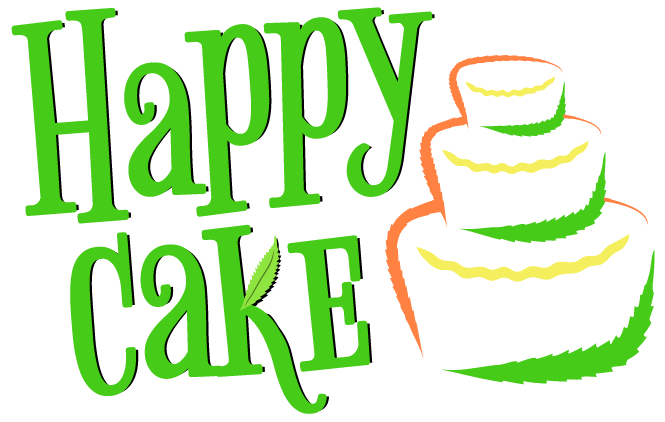 To learn more about the project, you can see the Happy Cake project case study here. In this case, the client had worked with at least one designer before hiring me and wasn't happy with the results from their other designer. So they'd already seen what they didn't want, and had a better idea of what they did want by the time they hired me. Luckily for me, before I got started, the client gave me a series of actual cake images for color reference (below), which showed the fun & wacky feel they also wanted in their logo. Once you have answers to pointed questions like those, it's a lot easier to move forward with the project. What kinds of questions to ask yourself? It might seem like they'd vary wildly from business to business, but they don't really vary that much, because the general idea behind the questions typically stays the same. Who is the target market (the ideal customer for your business)? What will appeal to that target market? Ex: if you're a wedding planner, your audience will likely be drawn to feminine imagery, pastel colors, and elegant (formal) font choices. What fonts, images, icons, etc., will be appealing to them? choose everything for a good reason, not just because you like it! Remember, you aren't designing for yourself as much as you're designing for what your target market will be drawn to. What style do you like & want to use? this is less important, as you may prefer a style that doesn't appeal to your audience, but it still needs to be addressed. While it's ideal that you like your own branding, it's more important for the success of the business that the design is also EFFECTIVE. Does that style complement the business you're trying to run? Ex: if you're opening a new barbecue restaurant, but personally likes a style that uses pastel colors, feminine imagery, and elegant font choices, customers would be confused between the provided service & the branding, because the two won't complement each other and in fact seem completely unrelated. How do you want customers to FEEL about your brand/business? excited, mellow, serious, casual, formal, trusting, etc.? What do you want customers to THINK about your brand? Ex: if you run a funeral home, but your desired branding style evokes feelings of fun, energy, and casualness, then something is wrong. People need to feel a certain way about a brand in order to take it seriously, and trust the company enough to buy from you. What colors could help customers feel and think those things? Color psychology plays a pretty large role in the success of the design, and most business owners don't realize this. So take advantage of color choices whenever you can! Every color has positive AND negative associations with it. Be aware of each general association, and choose colors that will have the most positive impact for your audience, wherever possible. Whether that association becomes positive or negative when you use it in the branding, completely depends upon how you use it in the design. If you want to dive in even further, make sure you sign up to grab my FREE workbook, Unearthing Your Brand. It's a fillable workbook, that aims to help you workout some of those pesky details before hiring your designer. What struggles have you had with your branding, or working with a designer in the past? Comment below!